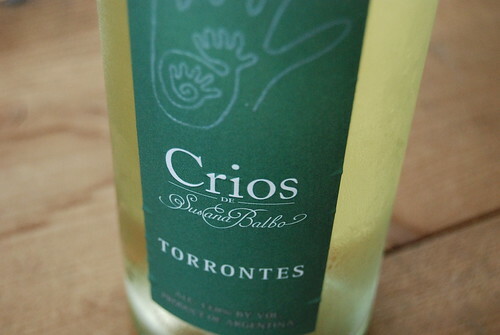 One of the wines accompanying the tasting menu this evening at the Limestone Restaurant in Louisville was the Torrontes Crios de Susana Balbo. It was served with a lentil, ham and beet salad and was a wonderful accompaniment to it. To us it had a taste and finish reminiscent of grapefruit and we enjoyed it immensely. This is a very good wine and, as I understand, very fairly priced. A Great wine. I really feel that Susana's Torrontes holds the benchmark for the style that other Argentine producers are striving towards. This is a wine I would serve to anyone who does not think (know) about great wines produced outside of Mendoza. Salta will soon find its wines more prominently in restaurant lists. Let's hope Philly's lists can be on the forefront.